A Senate inquiry into aged care quality assessment and accreditation is struggling to capture the interest of an industry regularly under review and a Senate with much on its plate. The Senate inquiry, launched on 13 June, is looking into the effectiveness of the aged care quality assessment and accreditation framework for protecting residents from abuse and poor practices, and ensuring proper clinical and medical care standards are maintained and practised. It was referred to the Community Affairs Committee by Senator Nick Xenophon in response to the reported incidents in the Makk and McLeay Aged Mental Health Care Service at Oakden in South Australia and the committee’s examination is in the context of these incidents. The inquiry is also examining the division of responsibility and accountability between residents and their families, agency and permanent staff, aged care providers, and the state and the federal governments for reporting on and acting on adverse incidents. However, the Senate investigation has been overshadowed in the inquiry stakes on this issue by the Government’s Review of National Aged Care Quality Regulatory Processes led by Kate Carnell and Professor Ron Paterson. That review received over 400 submissions and its report due date was recently extended by four weeks to 29 September 2017 to allow sufficient time to analyse the feedback. In contrast, the Senate inquiry has received few submissions, 12 of which were uploaded by the closing date of 4 August. There have been none uploaded since, but the committee confirmed to AAA on Thursday this week that additional submissions received before and since then were being processed for upload. Available submissions came from industry groups including Aged and Community Services Australia and Leading Age Services Australia, nursing associations and other agencies that have recently examined issues covering the committee’s terms of reference. The submission from Aged Care Complaints Commissioner Rae Lamb pointed out that there were three bodies already involved in quality regulation, including herself. Ms Lamb said when she began in 2016 they did not inherit any open cases about Makk and McLeay Nursing Home. Both LASA and ACSA said that the industry’s quality system was not broken and should focus more strongly on continuous quality improvement, with facilities having a right of reply to a complaint. HammondCare pointed to regulatory research showing that the best way to monitor care “is to focus on outcomes not tick a box” in its submission. “If there are too many standards with too many specific protocols, neither nurses, care staff nor inspectors can keep up with them all. When you have a small number of standards that aren’t too prescriptive, it works better for everyone,” HammondCare said. 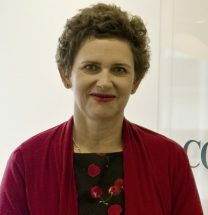 The Australian National Audit Office, Australian Law Reform Commission and NSW Mental Health Commission referred to their recent relevant recommendations about indigenous aged care elder abuse, the aged care workforce, use of restraints, the role of community visitors, and publications on mental health and old age. Senator Xenophon told AAA that the committee would go through the submissions and may invite those stakeholders to attend the inquiry’s only public hearing, in Adelaide on 21 November. “Health and aged care officials, professionals and representatives from the South Australian Government will also be invited. However, they are not compelled to attend,” he said. Senate Community Affairs Committee chair Rachel Siewert issued a public statement on Friday 25 August to address stakeholder concerns about the inquiry and the number of submissions received and uploaded. She said “the committee has received approximately 46 submissions”. The committee confirmed this figure was current at close of business Tuesday 29 August. Senator Siewert said the 46 submissions came from state and federal government agencies, aged care providers and their representative organisations, advocacy groups, medical and allied health practitioner groups, aged care workers and a number of family members of aged care residents. As at close of business on 29 August, 16 submissions have been uploaded. In response to the number of concurrent reviews underway, Ms Siewert said the committee has been flexible in receiving submissions beyond the formal closing date. The committee is holding a public hearing on 21 November in Adelaide and is due to report back to the Senate by 18 February 2018. This story was updated Wednesday 30 August. I have a father in aged care. One thing that stands out to me is that there are too many announced assessment visits and not enough unannounced ones. Operators simply run around window dressing for these announced visits. What is needed is much higher level of unannounced visits to measure what is really happening on most days. They have to get this moving, whatever it takes. If it helps stop mistreatment of even one elderly person it will be worth it. Nursing homes need a watchdog to prevent elder abuse, quality of care and quality of meals. Retirement villages really need a watchdog to prevent them ripping people off financially, they are a rort and only there to make money at the expense of their elderly clients. The Senate Inquiry should be given access to the submissons to the Govt, Review led by Kate Cornell and Dr. Patterson as they covered the same area. I would like to see the information made to the latter enquiry being forwarded to the Senate . Nobody should be surprise by the lack of response. Providers would be more than happy to respond but the degree of change and necessary rationalisation means that we simply no longer have the resources to respond to consultations the way we used to. People are just struggling to keep their heads above water. Obviously no one new about it…or it would open a Pandora’s box. The whole aged care system is just a rort..everyone scratching each other’s backs..covering up abuse and ripping off the elderly and their families. No one wants to touch it but we’re all going to get old one day…and you may end up in a Nursing home too. -Review the staffing ratios in aged care. -Serial complainers waste valuable management time and takes away from delivering quality care to residents. It also leads to burnout of staff and management. -Realistic expectations need to be explained to consumers (continence aids, nutrition n hydration needs, daily cares, medication administration) all costs money. In order to provide it, cuts in quality are needed. You cant expect quality care and not pay for it. Instead of RNs you will have AINs; more residents per staff, less supervision, more falls, less communication and interaction, less qualified staff. Quality care and continuous improvement is difficult when meeting basic needs is pushing staff to the brink. 1. THE AGED CARE FUNDING INSTRUMENT. 2. THE AGED CARE ASSESSMENT PROCESS. The funding does not provide the $$$’s required to ensure adequate staffing levels. Therefore personal care workers & nursing staff are constantly pushed to provide care services in a most demanding environment to meet the legislative requirements. The staff turnover is quite high due to the nature of the industry resulant in high stress levels. Whilst the accreditation standards are sound to ensure a resident is assessed and receiving care in accordance with their individualised care requirements…..the work around completing the required ongoing documentation is phenominal and exttremely time consuming. Therefore if the documentation is not complete ….. an assessor presumes a task was not attended and this will also impact on govt funding to the facility. There are legislative requirements in place to protect the elderly from abuse. Staff are fully aware of the legislation as reporting ‘suspucion’ of elder abuse is mandatory in accordance with the Aged Care Act. I believe the overall problem lies with inadequate government funding to meet the staffing levels required to safely care for each resident in accordance with their assessed care needs. There is not the appropriate funding to ensure nurse/carer/ resident ratio’s. It needs to be addressed urgently. Increased staffing levels is all thatvis required. I worked in a dementia specific hostel for 10yrs. When accreditation came around.Manager would window dress and only put staff on that she knew would cover up a lot of things. We worked without meal breaks, 1 staff for 16 residents. Management wouldnt put more staff on even though we complained about how little time we had for those residents and the bullying between management and staff was outrageous and head office did nothing with a lot of complaints. on her health and well-being. When we telephoned, it would often ring out and we invariably never got to speak to anyone. On a few occasions, we saw the deterioration of cleanliness, of her room and bathroom. We were shocked on one occasion when we noticed a severe hole in the wall to the right of her headboard. The ‘hole’ in the plaster was quite large and deep and we couldn’t work out what was causing it, as the bed had a ‘buffer’ to stop it marking the wall. My mother in law was suffering from dementia and all she could report was that she had, had a fight! We could never find anyone to ask any questions, it always seemed devoid of staff, minus the lady in the kitchen. Month after month we were receiving pharmacy accounts for large amounts of pain killers and constipation relief. Impossible for one person to go through the quantity she was prescribed and we had to pay for. We had no proof of anything and we felt there was no where to voice our concerns, other than the home itself. She passed away in the home, and we were the last to know!!!! I too have worked it aged care and agree that more on the spot checking from the department should happen. My supervisor always said she had to run it as a business. Dollars and funding were more important than the residents needs. My mother is in aged care and the carer’s are mostly wonderful it I’d those in the higher rarky that just won’t acknowledge when and if you have a complaint. We have reported an incident which was dealt with through the complaints system but being a small country hospital we were made to feel that we were the one’s that had done wrong and we felt quite ostracised. More funding is needed for staffing levels per patients. I am still working in age care, I agree with what everyone else has said and that the residents and the carestaff are the ones who suffer as the management only look at the dollar signs instead of staff and residents. As a nation, we need reconsider how to balance conflicting needs of our community to ensure that those most vulnerable and least able to speak for themselves in their later years are cared for to the standard we would apply to ourselves. Tighten accreditation process and increase the frequency of random on-site visits to facilities to ensure improved transparency and accountability. Urge everyone to save so able to contribute towards costs of senior years. Staffing at all levels is abysmally low in this demanding profession. Action to address and improve required urgently. Maybe everyone is just weary of enquiries that yield zero results. 2) What are you hiding?